Need help at home? Consumer-Directed Services (CDS) are home care services which give you the most control over the services you receive, who is in your home completing the work, and when the services are provided. Individuals who choose the CDS program for their home care services must be able to direct their own care and must be at least eighteen (18) years of age. Participants in the CDS program are trained to hire attendants to assist them with help at home in the tasks of daily living. The program is designed to help people with disabilities receive the attendant services needed to live in a home setting of their choice. With CDS, you are the attendant’s legal employer and may hire a personal care attendant of your choice, including a family member or friend (spouses are not permitted). Your MO HealthNet (Missouri Medicaid) pays your attendant’s wage, and NEILS acts as your fiscal agent to prepare your attendant’s payroll on your behalf and to monitor your services. In-Home services are provided by NEILS In-Home Aides in your own home. 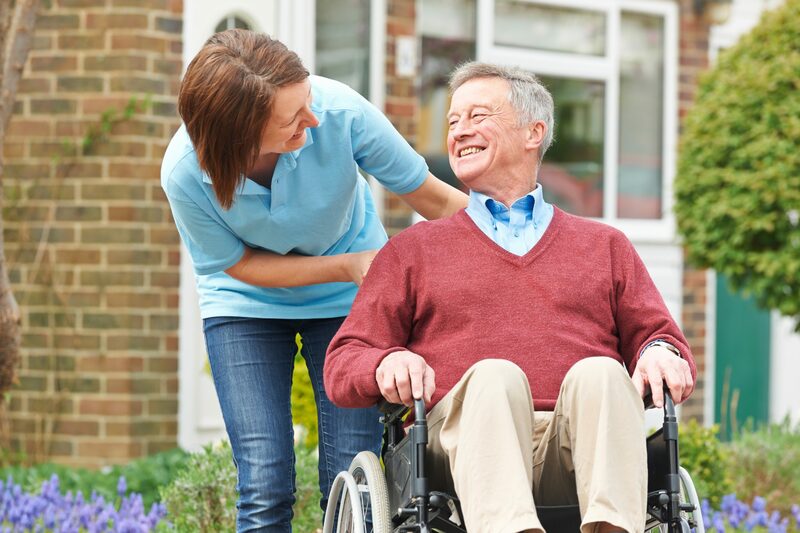 As your home care service provider, NEILS builds our personalized service around your unique needs. Our dedicated professionals are here to answer your questions and address your concerns. When you choose NEILS for our In-Home services we begin by reviewing your loved one’s needs. Individuals receiving the in-home services are not required to be able to direct their own care, so we’ll meet with involved family members and, if necessary, will consult with the physician of the care recipient. We’ll also meet with any social workers, hospital representatives, or nursing home staff as needed. We ultimately want to have a complete picture of the home care needs. NEILS is contracted with Veteran’s Home Care to provide home care services to qualifying veterans or their surviving spouse. The VA requires the veteran to have served a minimum 90 days active duty with at least one day during wartime and honorable discharge. There must also be a medical need. If you meet the qualifications, your home care will begin the first week of the month after your application goes to the VA. The program allows you to pay for home care with no out-of-pocket costs even before the VA approves your application. NEILS is privileged to provide In-Home Services for veterans who served our nation in its time of need. We look forward to providing the quality home care and companionship our veterans highly deserve.